Listen to season 1 and 2 for 12 conversations on 12 different topic, by the creative women in our team and the speakers from our previous events (below). In February 2019 we launched seasons 3. Listen to our newest season for eight 1-on-1 conversations with creative women. 8 different women with 8 different perspectives on the layers of their personality and careers. Go to iTunes, Spotify or SoundCloud for all episodes. 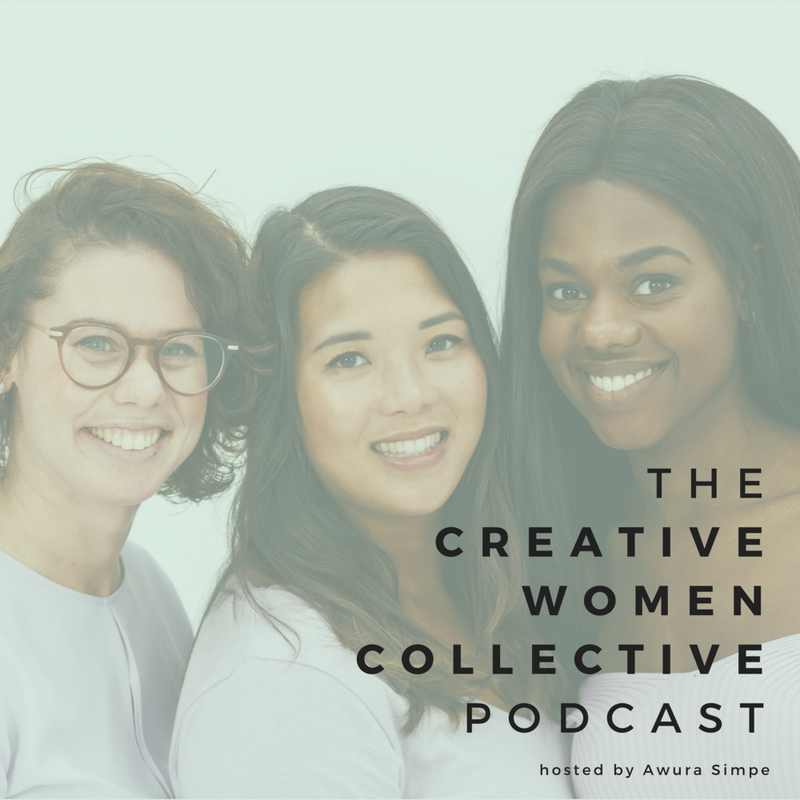 This first episode of The CWC Podcast features contributor Marina de Haan (ZoeteLiefde) and sustainable fashion entrepreneur Dena Simaite from NOUMENON. We tackle the topic of selfworth from different perspectives, and also discuss meditation. And Drake. Yup. Contributor Jessy The and Charlotte van 't Wout (entrepreneur, writer and queen of Instagram Stories) discuss their favorite topic: personal development. Listen and learn how Jessy and Charlotte tackle their personal challenges. This week's podcast is all about networking We invited contributor Linda Roos (Linda Roos & Media) and Cynthia Ritsma (House of Notoire) to discuss this topic from the inside out. Grab a pen, because Cynthia and Linda are sharing practical tips non-stop! Dena & Marina from episode #001 are back! This episode we discuss how to implement sustainability in your life + business. And we discuss why Dena refers to her Dopper as her friend. The women from our most popular episode (#002) are sharing their knowlegde on how to develop a mindset to grow rich! For more about Charlotte van 't Wout's coaching practice click here. Listen to the first episode of season 2 with Amber van Leeuwen (The Social Good Girl) and Fauzia Radja (FM Consultancy) here! In thiswe're discussing the in's and out's of strategy. In this episode Shenin Lebrun (Nike, TedxAmsWomen and Hustle & Heart Consultancy) and Mariette Ruggenberg (De Upstarter) discuss their perspectives on health in relation to entrepreneurship, their daily lives and their body image. How do you (not) mix friendship and business? Ashlee Janelle Danso and CWC's Charmaine Wartes share their experiences during this special minisode. If you are planning on working with friends, definetely listen to this 10 minute episode! Ugh. The navigation of your career after high school, college or during your first job, is anything but easy. Yennhi, Carly & Maria are in the middle of this journey, and share their experiences, learnings and struggles in this 45 minute episode. What is happiness? Shenin (Hustle & Heart Consultancy) and Mariette (De Upstarter) are back to discuss this question from the inside out. Litteraly. Pfew. This minisode with Ashlee and Charmaine, is one of the most popular episodes of season 2. Listen for insights on how to deal with (growing) anxiety. Carly, Yennhi and Maria chat about how they tackle the biggest limitations in their heads as well as in their lives. How do break down walls and find a way anyway?